How can information and technology help healthcare? Introduction by Colin Hung. Post by David Harlow and Janae Sharp. We are just about a week away until the start of the 2019 HIMSS conference. I love this conference. There are very educational sessions, amazing keynotes, lots of interesting vendors to visit and best of all, incredible people to see face-to-face. Getting the chance to meet people in-real-life (IRL) is by far, my favorite thing to do at conferences. There is just something about hugging someone you’ve known online for years. It’s a feeling I can’t explain. Who: HCLDR, HITMC and HITsm communities. Everyone is welcome. As an extra special bonus: for the first time ever, Joe Babaian and I will both be attending HIMSS at the same time! This is your chance to come and meet us BOTH at HIMSS19. Don’t miss it! 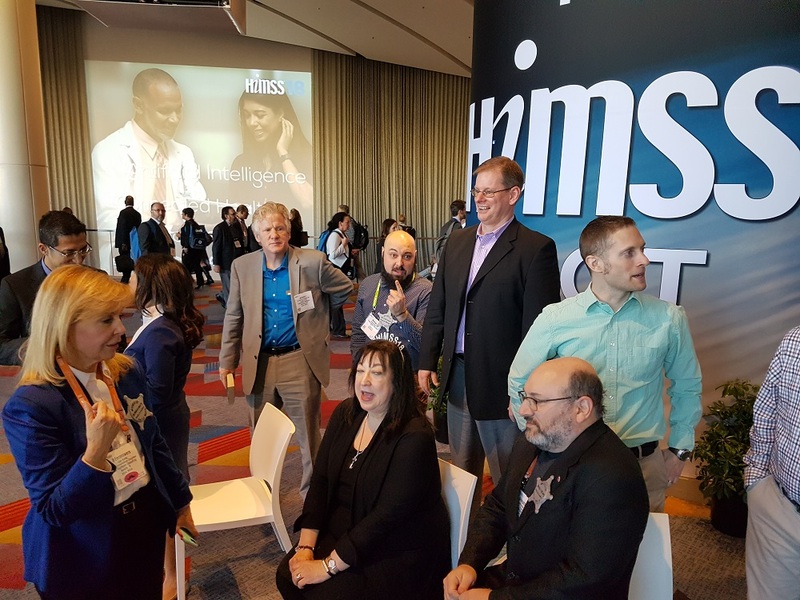 This week on HCLDR we are teaming up with the HIMSS19 Social Media Ambassadors on a joint #HIMSS19 #hcldr chat. The 5 questions (yes that’s right, we are breaking from our standard 4 question format to accommodate an extra question) came from suggestions by the Ambassadors. Many of the Ambassadors will be joining us on the chat – Tuesday, February 5th at 8:30pm ET (for your local time click here). Questions are at the bottom of this post. I asked David Harlow and Janae Sharp, #hcldr friends and fellow #HIMSS19 Social Media Ambassadors to write a short post to accompany the questions and to help spark early conversation. By David Harlow @healthblawg; Principal, The Harlow Group LLC; Publisher, HealthBlawg. David is a healthcare innovation attorney, consultant, blogger and speaker. 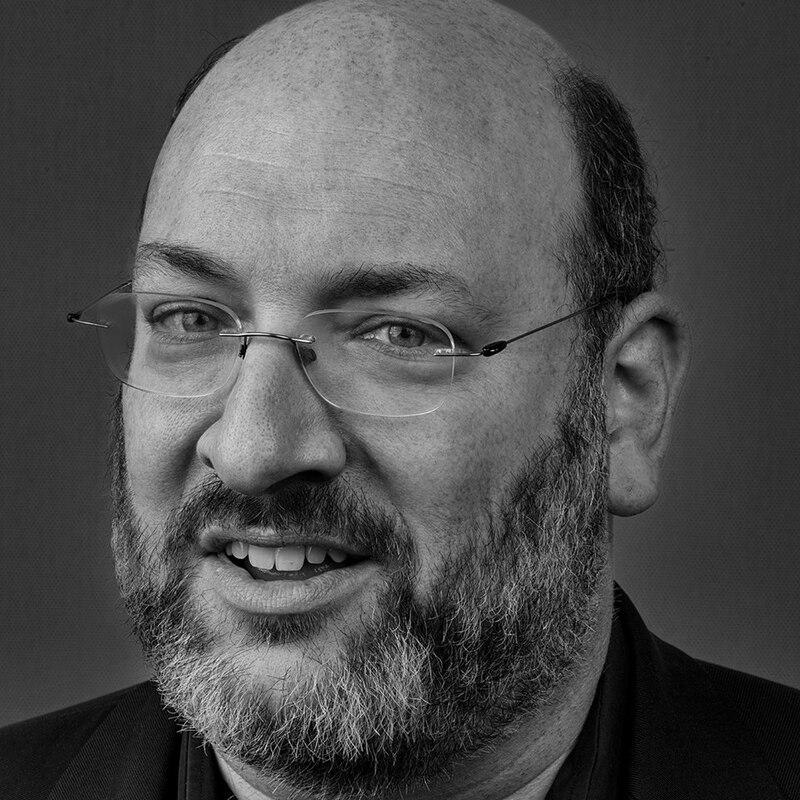 He focuses on digital health, data privacy and security, and broader healthcare policy, strategic and business issues, ranging from fraud and abuse to value-based purchasing to SaaS licensing to clinical program development and compliance. One answer is that it is not a healthcare issue, and that indicates highlights the need to distinguish between health and healthcare (though we often conflate the two). I attended an interesting product lunch recently for the Attain app – it’s an iPhone app from Aetna and Apple, powered by AI and a link to Aetna health records, that provides truly personalized nudges and rewards, which make it more likely to have a real and lasting effect. See my post on whether Apple and Aetna can “Attain” escape velocity in this moonshot. Attain addresses both health and healthcare issues – everything from nudges about diet and exercise to information on the nearest flu shot clinic or lab for those tests your doctor ordered – and it remains to be seen whether that’s too much to offer under one roof, so to speak, or whether that sort of unified personalized messaging is what the public craves. For years we have all heard the complaints – from both sides of the keyboard – that bringing the EHR into the exam room inevitably puts a barrier between the patient and the clinician. Well, maybe it doesn’t have to be that way. Scribes (local or remote) can help. See Atul Gawande’s most recent New Yorker article, Why Doctors Hate Their Computers, for more on this. Having the clinician sitting next to patient, facing the screen together, is another approach. (Hat tip to Danny Sands.) Re-engineering workflow can help, as can communicating with patients outside of the office visit – e.g. through telemedicine and even through patient portals (though most need a lot of work), and Open Notes. Here are just a few starting points that come to mind: We need to ensure that the patient voice is heard loud and clear. We also must hear from those who can delve into current and ideal state workflow design so that we do not continue to “pave the cowpaths.” And those designers, of course, cannot work in a vacuum, designing some ideal system, without interviewing patients and clinicians and support staff, without spending at least a few shifts closely observing how their tools may be used in the wild. We need to be able to articulate to the regulators what information is and is not useful to collect, record and report, in an evidence-based manner. Nutrition and housing are two such fundamental social determinants of health that some health insurance companies have started to invest in housing and in taking steps to ensure better access to healthy foods for their subscribers. These steps represent significant investment and a shift in thinking but they can make a real difference in members’ lives and are likely to improve the health insurers’ bottom line. Wise use of the insights gleaned from data already collected and new data to be collected (or different silos of data being combined across government and nonprofit and private sector data stores) can help us target interventions where they can have the greatest impact, the greatest bang for the buck. For example: Where is the confluence of homelessness and negative health outcomes felt most acutely in the population? Where are we seeing severe dental problems, which can be precursors or comorbidities of broader health issues brought on by malnutrition? It is difficult for an established player to be the real disrupter, but an “upstart” has to have enough resources, enough traction, in order to be able to really make a difference. The question of the moment is: Who is the disruptor with the resources necessary to upend the system? Is it going to be a health insurance company handing out digital health consumer tech? Or is it going to be a party that’s always been on the scene, but that may be awakening more broadly to its powers? One candidate for the latter category is the employer. For better or worse, unless some “Medicare for All” reform truly takes hold in this country, we have a predominantly employment-based health care coverage system. Large employers understand that since their health expenses loom large, they need to manage them proactively. They have historically worked harder than smaller employers to design benefit packages and manage expenditures, but now smaller employers can work to achieve similar improvements. See Dave Chase’s manifesto on the generational imperative to gain control of healthcare costs by intervening in the conversations employers are having about benefits and premiums. Start at healthrosetta.org and check out my conversation with him on the subject, too. By Janae Sharp @CoherenceMed; Founder, The Sharp Index. Janae is a healthcare IT marketing consultant. She works with companies building healthcare IT products to improve access to care for the underserved and meet the quadruple aim through better access to patient data at the point of care. Using social media to bridge the gaps of distance and access to care allows her to build common interest collaboratives. She also leads the social media strategy for community organizations and companies. Sometimes, healthcare IT acts according to Newton’s first law of motion. An object in motion will stay in motion, unless acted upon by an unbalanced force–and we have a lot of momentum built up in existing healthcare business structures and technology. Most healthcare systems can’t really afford electronic healthcare records, so replacing them is not really an option; as Newton’s first law tells us, since these systems have a lot of momentum, most things will continue how they are. Other times, healthcare IT acts like my bickering children. My 9-year-old and my 7-year-old both came to me this morning after one turned off the other’s Xbox mid-game. Both were crying, and each was asserting that the other was at fault. Neither wanted to take responsibility. The thing about not being responsible is, it usually means the people involved don’t want to change. When I look at Healthcare, I see the same thing: “This is an experimental treatment and I shouldn’t pay,” or “This patient does not belong in the ER and we shouldn’t pay.” Or, “This patient doesn’t work enough to deserve medicaid, and we shouldn’t pay.” The thing is, no one has enough time, and no one wants to pay. Everyone seems to be holding up their hands and claiming,“This was not my responsibility!” I did what any parent would do, and asked if I should throw away the toy which had clearly not been meeting its one purpose–to cause joy. The focus is off. One of the most important aspects of great customer service is ownership. When you hear a customer articulate a problem, own the problem. If we can focus technology in enabling ownership and meeting needs of each and every separate party involved, the finger pointing won’t exist. We have enough resources and enough people who are willing to help to substantially improve patient outcomes and reduce costs. Technology is simply falling behind communication problems. A patient who does not have healthy food at home will not get well. A patient with an unsafe home will not heal properly. A patient who loses his or her job or home while in the hospital will not have the hope to be able to fully recover. Healthcare data has the opportunity to triangulate between business models in local community-based organizations, healthcare providers, and payers. Personal patient need and financial considerations should guide these collaborations. A healthcare system will improve with better built-in tools to facilitate collaboration between these parties, so that the “bickering” can cease. Maybe we should throw out all the faulty toys that aren’t bringing health and joy. Life changing technology is the technology we want to adopt. Electronic Health Records will need to learn the same expertise and motivation that video games and social media platforms already prioritize. The more we understand motivation and need, the better technology adoption can drive health. Remote clinics and large technology players that have avoided healthcare in the past now pose a risk to existing technology giants such as Cerner and Epic–the object in motion wants to remain in motion. Someday the problem will be bad enough that the forward momentum will not continue. Whether existing players are able to meet the needs of the industry or new technology giants come in, the technology that “wins” will be the one that best facilitates accountability and cooperation. The problem to be solved may not yet be urgent enough to demand a change, but technology will drive the solution when we reach the breaking point. *Special thanks to all the HIMSS19 Social Media Ambassadors for contributing to this week’s HCLDR chat. Also, thank you to Michael Gaspar at HIMSS without whom this chat would not have happened! Are You A Healthcare Consumer?